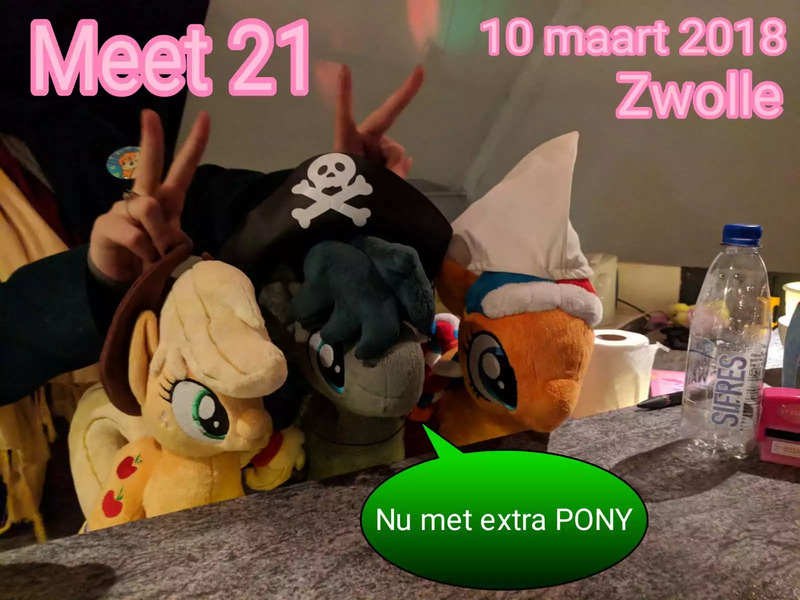 BroniesNL is happy to announce the 21st National BroniesNL meetup, which will be held on saturday the 10th of March 2018. We will be welcoming you at a now familiar venue in the city of Zwolle! Please make sure to read the information below concerning the meetup venue. While you're at it, please read the official rules AND the interesting facts you'll like to know about Meet 21! "Memey Villains & Villainous Memes"
Take the (insert preferred form of Public Transport) to Zwolle centraal station, from there it's about a 10 minute walk to the venue. Follow the plushies and odd-looking folk, then you'll certainly get there. There is also a bus-stop near the venue, at about 2 minutes walking distance, so consult your transport app to see which bus goes there. For those wealthy and grown-up enough to be able to drive a motorized multiwheeled vehicle: you are wealthy and grown-up enough to affort a GPS device in your vehicle. Note: there isn't much of a parking space, so parking your cars, invisible boatmobiles and spaceships will have to be done at the local parking lot. There are at least three rooms available to us, one with a kitchen, so there will be enough room. During the opening we will inform you on where you can and can't go. The venue won't be providing a wifi connection, but we are looking into that once more. Important: the location does NOT have access to clean drinking water, so we will work to provide bottled water. But we urge everyone to bring some of your own as well. Awaken that survival spirit! Toilets DO flush, but don't you go drinking out of them. As usual we will serve our own sugary/salty/artificially enriched edible substances including all sorts of candy, drinks and the likes, for free. Besides that, we'll be providing snacks. Hotdogs, frikandels, pancakes? You want it; it's yours my friends, as long as you have enough Euro's! You can stay up to date with each event by looking for the threads in the "Dutch Meets" subforum (once they're up). We of the BroniesNL organization hope to see a ton of both new and familiar faces on the 10th. As usual, entrance is free and the average age is around 18. If you have any questions regarding the meet and/or the venue, please feel free and do not hesitate to contact us via our organization email address. We will respond with a proper answer as soon as possible. Thank you for your attention. You are Number One. Until the 10th of March! !